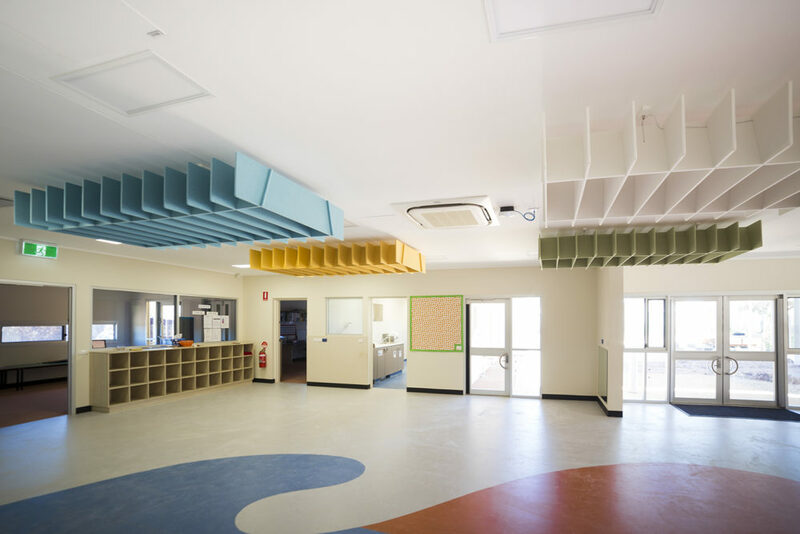 The scheme was for a single building, comprising seven modular units assembled off site, and connected on site; located to enable continued use of the existing buildings until the new one was fully functioning; and providing a new play facility in conjunction with the new building. 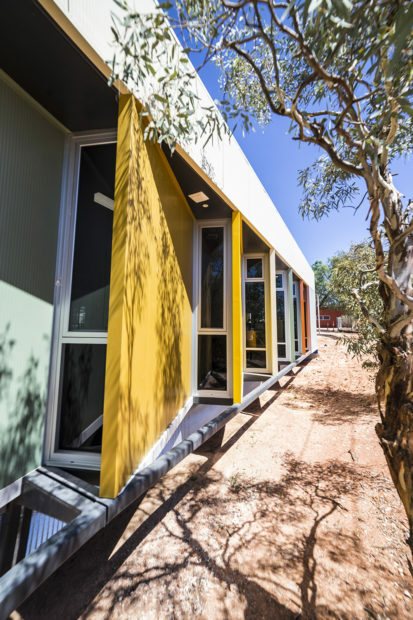 Internally spaces and functionality were driven by the plan form, which was tailored to suit the off-site prefabrication. Activity areas are open spaces connecting directly with the “surrounding” functions of Kitchen, wet areas, offices, ablutions spaces, and stores. 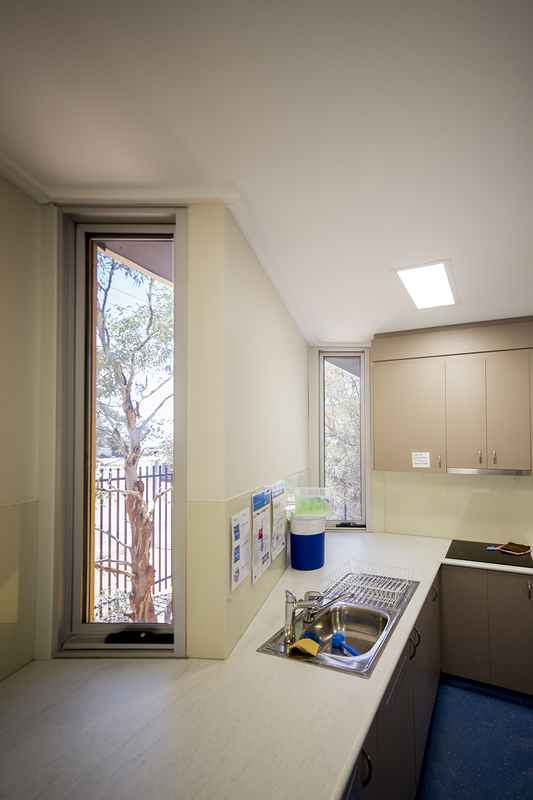 The finishes suit the function and to bring a “softer” quality to the space while ensuring maintenance free durable and robust lives. Lighting, where not natural is energy efficient and fit for purpose. 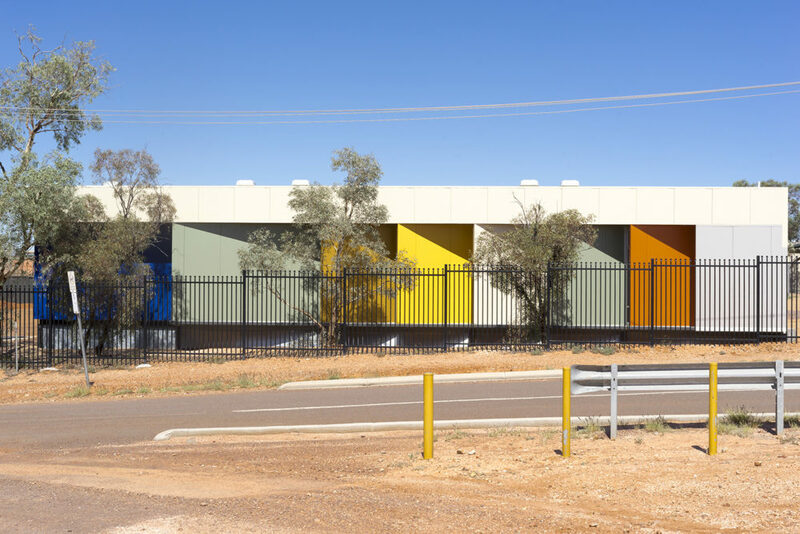 The built form disguised the “modular” arrangement, displaying instead, a highly articulated form with rhythmic angled blades denying summer solar access to the west and street facing elevation; while enabling desert bird colours elevating the building to a “light and colourful” identifiable unit. The flat roof is concealed from view by parapets which serve to “square the form” delivering a geometric solution. Shade structures in conjunction with the roofed outdoor areas provide protection to glazing, play areas, and access ways. Wall and roof insulation at high levels protect the internal environment that can then be conditioned efficiently. 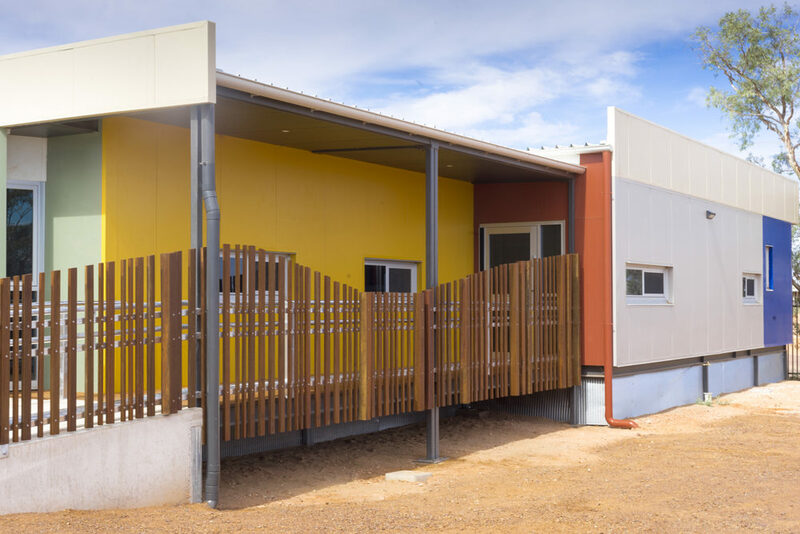 The building was ultimately built in this fashion, buit in situ, by Pimba Builders, a group which operates from Marla, more local to Coober Pedy than most. 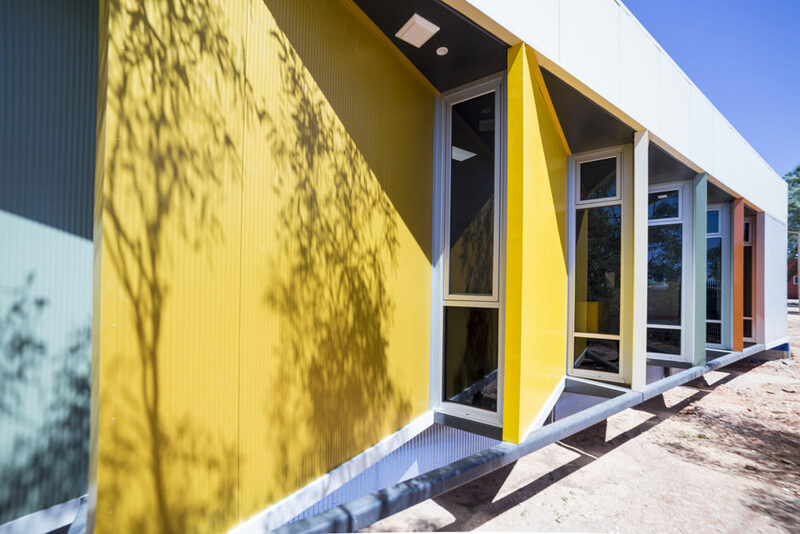 Rainwater is collected and made available for the landscaped play area designed by TCL bringing the “realities of water” to the children within the play facility. 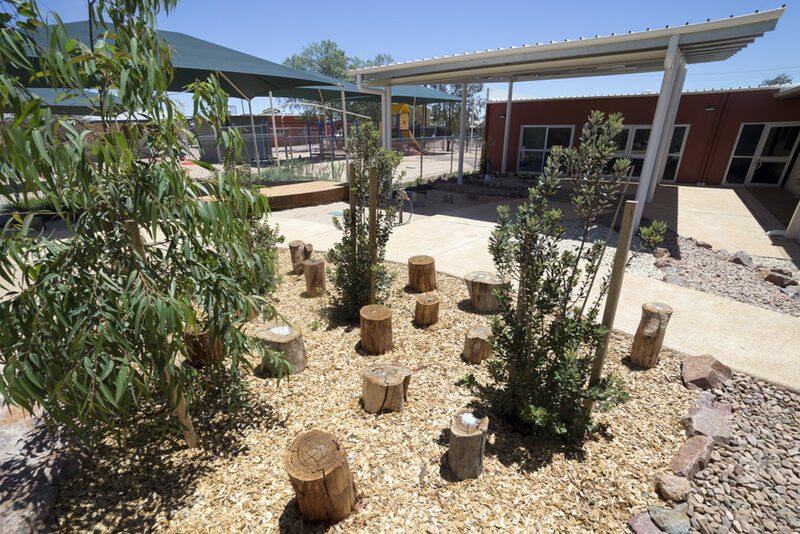 The landscaping encourages a variety of activities with both obvious and subtle learning benefits while “extending” the connectivity with the building and adding visual relief to internal activities.